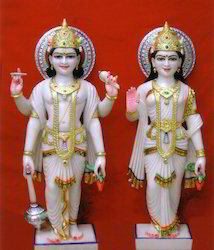 Prominent & Leading Manufacturer from Jaipur, we offer vishnu and laxmi marble statue and marble vishnu laxmi statue. 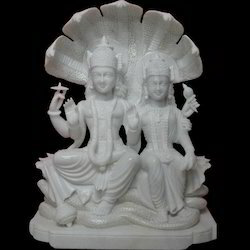 We are providing our esteemed clients a classy range of Vishnu and Laxmi Marble Statue. The offered statue is designed using optimum quality raw material and advanced technology by our talented craftsman. In order to ensure the quality of products, our experts test this statue on various parameters. Apart from this, we provide the entire range in various specifications, in order to meet varied needs of our clients. Available Size : 12 to 72 inches or also customize as per client requirement. Looking for Marble Vishnu Laxmi Statue ?